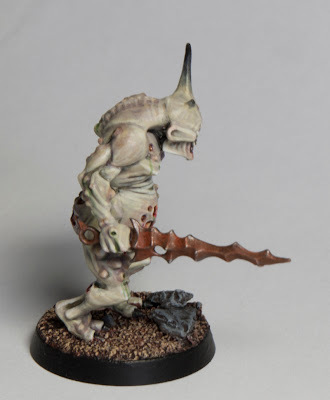 I recently got my hands on the new plastic Plaguebearers and oh man do I love them. 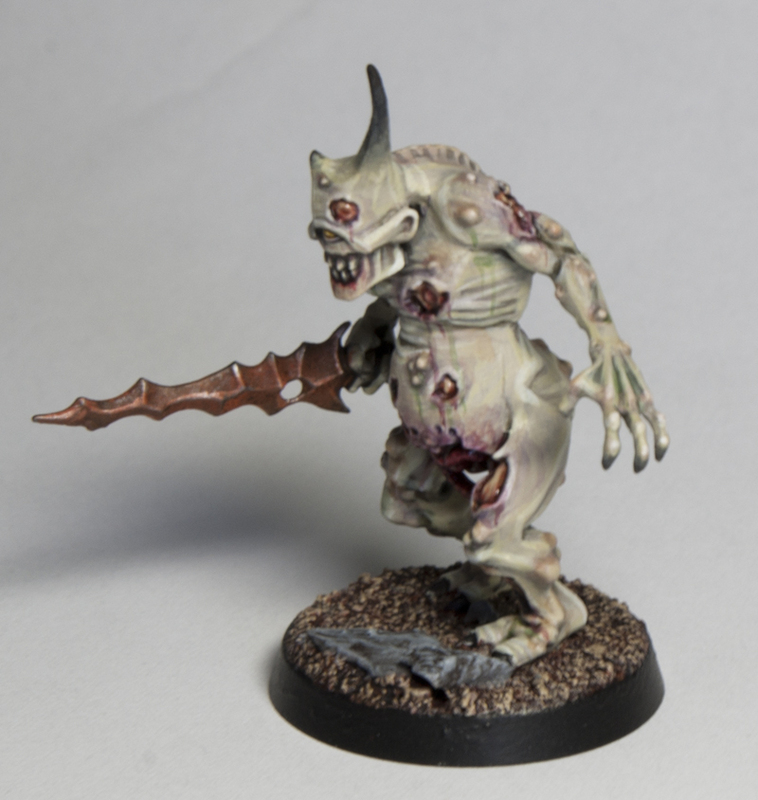 I started a Nurgle Demon army back in 2009 when the Chaos Demons codex was first released. 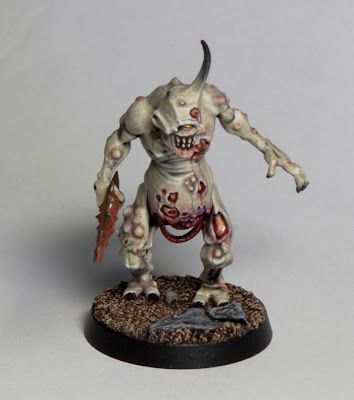 Part of the reason I picked a mono-nurgle army is because I think they look sweet and provide plenty of painting and conversion opportunities and because I already had 20+ Plaguebearers from a previous army. I went through and repainted them and I think I only added about 10 new Plaguebearers to the army. I decided that I was going to hold off until plastic models were released. I figured it couldn't be to long until the came out. Well almost 4 years later they are finally here. I wanted to paint them to fit into my existing army (not repainting an entire army again) but also make sure they showcased my current skill level. So while I kept with almost all of the tropes of my original color scheme I went about painting them in a completely different way. About the only thing thats the same is an abundant use of Rotting Flesh paint. I will let the pictures do the talking now. And here is a picture of one of my original demons from 4 years ago. Comments and crit welcome, and be sure to cote for him on CMoN here. 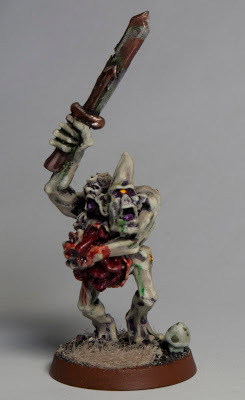 That is amazing, the pallid tones you have gotten into the flesh look really diseased without going to far towards rotten. Could you give a quick break down of the paints and techniques please? I'd really like to emulate this. Awesome work. I think your example is better than the Eavy Metal example on the box art. I would love to paint up a unit of these at some point. Wow ridiculously amazing job man! Always jealous of your amazing painting skills. I agree with Snake88, way better then the 'Eavy Metal examples! Thanks everyone! I will try and do a step by step when I paint the next one. Dave I was actually thinking of Cadian Blood (which I just re-read) although I'm not surprised Flight has it in there too. Been a couple of years since I read that one. Good looking stuff! Just found your blog after reading your article on BoLS. I'll check back to see your new stuff! Hey there, I think this paint job is actually just amazing. 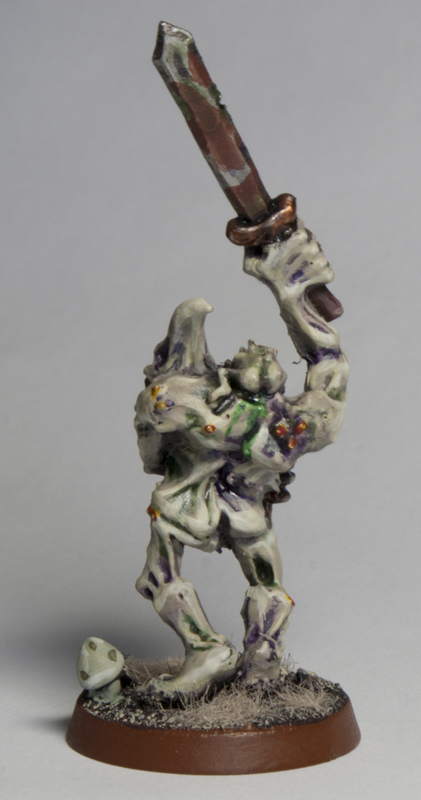 it is just the scheme i have been planning for my own nurgle daemons. 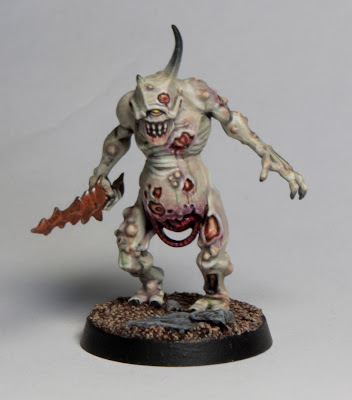 i am wondering exactly what paints you used for the flesh specifically. Also did you use any washes or anything else? Howdy! First of all I would like to tell the fact that you sure succeeded in customizing a gorgeous website. Also I want to know one thing. Have you ever taken place in some sort of competitions among bloggers?